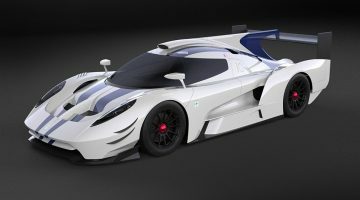 It’s the announcement that motor racing fans, and sports car racing enthusiasts in particular, have hardly dared hope for: in a joint press release the FIA and the ACO have confirmed that from 2020 the WEC’s top LMP1 class will be replaced by a formula for hybrid ‘hypercars’, with strong overtones of both the GT1 and also Group C eras. ‘Sleeker prototypes with more marque cachet’ is how the rulemakers are positioning the new formula, adding rather dryly that ‘aerodynamics cannot take precedence over aesthetics’ – a rather pointed critique of the purposeful but hardly attractive LMP1 machines of recent seasons. 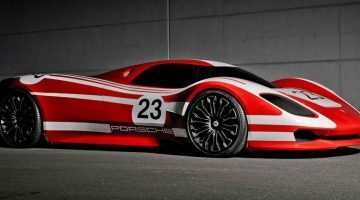 The release makes a clear connection between the hugely popular world of supercars, hypercars and ‘prestigious GTs’ seen on the road, and what it hopes will be a new generation of ‘tough prototypes’ battling, as it puts it, at ‘Le Mans, Spa, Fuji and Sebring, day and night, rain or shine’. The current hybrid LMP1 cars have set new standards for performance, efficiency and lap times, but at a terrifying cost that’s proved to be beyond the reach of most privateer teams, and certainly beyond their ability to be competitive. With Porsche withdrawing from the top class, this year’s Le Mans 24 hours features just one works team – Toyota. 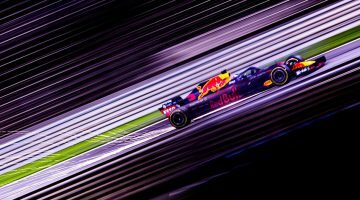 Clearly, a complete revolution of the rule book was required, with a number of manufacturers involved in discussions over recent months with the governing bodies. With the emergence of so many new ultra high performance cars onto the market, many enthusiasts – and c&p itself – have been lobbying for a racing series that allowed cars like the McLaren P1 and Ferrari La Ferrari to compete head-to-head on the track. That now appears to be a reality. The class will have aerodynamic downforce and drag heavily restricted to a defined point, removing the incentive to seek gains in the windtunnel, and thereby allowing manufacturers to concentrate on making their cars look good – and recognisable as cars from their brand. The body of the car will be homologated by windtunnel and a 3D scan, and will be set for the season. The minimum weight will be 980kg, with two seats, a bigger cockpit volume (than an LMP1 car) and a wider windscreen. In other words, they should look like proper cars. The choice of engine is completely free, from small capacity turbo motors to large displacement naturally aspirated engines, with performance controlled by fuel consumption, and those last two points were very much cornerstones of the Group C formula. Along with the straightforward homologation process and a very tight focus on limiting costs – the aim is for a two-car full season to cost only 20-25% of the current LMP1 formula – that should mean a huge variety of marques represented, from major car companies to supercar startups, and also allow privateer teams to run competitive cars. Moreover, while hybrid power has been built into the rules, the release states that costs must be accessible for all, including privateers – not just to participate, but to be competitive. The energy recovery systems will be leased, with manufacturers supplying a yet-to-be-defined minimum number of teams. Different battery and ERS systems can be combined at will, but the total power from the hybrid element will be 200kW (around 270bhp). The total combustion engine power, regulated by fuel flow and Brake Specific Fuel Consumption (BSFC), will be 520kW (around 700bhp). Laps times are expected to be around 5 seconds off the pace of an LMP1 car at Le Mans, in the region of a 3m20sec lap. The new regulations are due to come into force from September 2020, so the first time the new cars will be seen at Le Mans will be at the 2021 race. The formula as yet doesn’t have a name, with the FIA and ACO saying it’ll let the fans decide. Whatever it’s called, a golden era of international sports car racing may now be on the horizon.